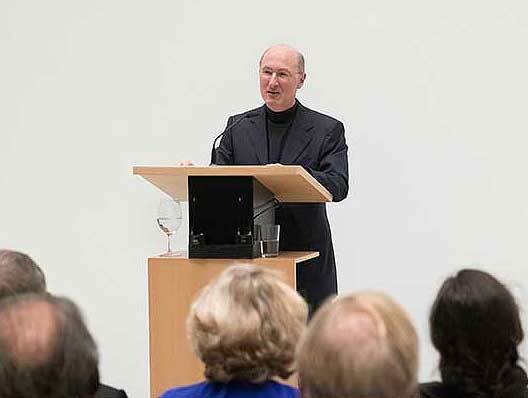 Jeremy Lewison, formerly Director of Collections of Tate, established Jeremy Lewison Limited in 2002 to provide advice on collecting modern and contemporary art, organize international exhibitions, and help artist’s estates with strategic planning. In addition Jeremy writes books and articles on modern and contemporary art, and lectures internationally in universities, museums and galleries. Jeremy began his career in the art world in 1977 as Curator of Kettle’s Yard, University of Cambridge. In 1983 he joined the Tate Gallery, London, as an Assistant Keeper in the Modern Collection, rising to the position of Director of Collections in 1998. In addition to having expertise in British art of the inter-war period he became the Tate’s specialist in post-war American art, and was responsible for publications and exhibitions on Jackson Pollock, Sol LeWitt, Brice Marden and Barnett Newman. From 1990 onwards he was in charge of the Tate’s acquisitions and display programmes. He also organised a number of major exhibitions both at the Tate and elsewhere. Since 2003 Jeremy has acted as the advisor to the Estate of Alice Neel and has strategically managed the promotion of her art, taking it in new directions, increasing its visibility and introducing it to Europe. He also advises the Kadist Art Foundation in Paris and Art Discovery Limited, helping them to build their collections, and is currently mentoring the curators at Bristol City Museum and Art Gallery and Arnolfini Bristol, on behalf of Art Fund International, in their project to build a collection of contemporary art from scratch. Since 2012 he has been a trustee of Arnolfini. He is also a trustee of the Kiln Theatre, London (formerly Tricycle Theatre). Since establishing Jeremy Lewison Limited, Jeremy has curated major museum exhibitions in Japan, Italy, USA, Sweden, Germany and the United Kingdom.